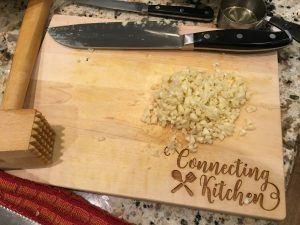 Ari and I never know what we’ll learn when we cook together! 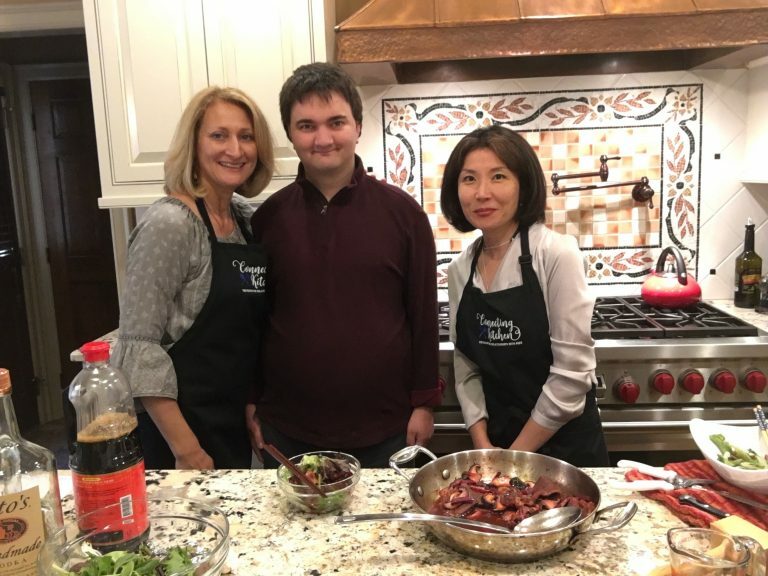 Sweet friend, Monica Rose, showed us how to make her favorite Korean Beef recipe. Delicious! Easy! Versatile! 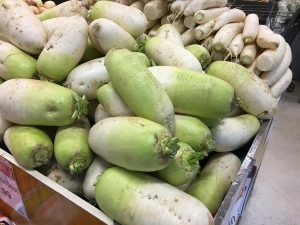 Paleo over greens or served over rice in the traditional way. Works for chicken and pork. I bet it’s good on tofu too! 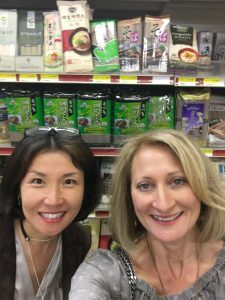 So interesting to shop at the international market with Monica! She’s a tour guide and interpreter. 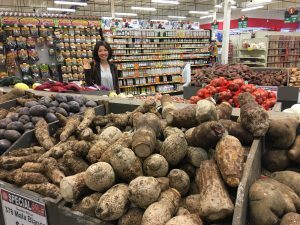 There are so many unfamiliar fruits and vegetables, hundreds of different sauces and noodles. If you have a friend who knows what’s what, take them along. She also shared her favorite way to stay in shape. I might have loved this more than the Korean Beef! Want to find peace and six-pack abs at the same time? Monica demonstrated a Buddhist inspired meditative exercise. Beautiful, mindful, and toning! Thank you for sharing Monica! 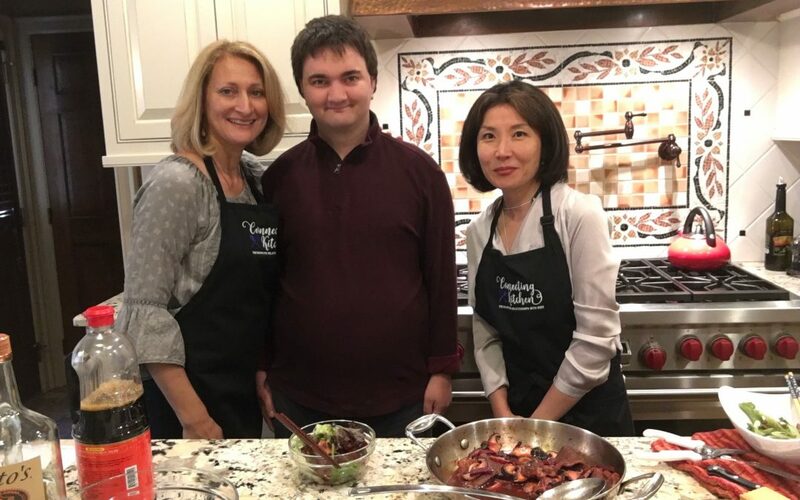 Connecting in the kitchen with good friends, exercise, and yummy Korean Beef! Loads of chopped garlic! Easy marinade. 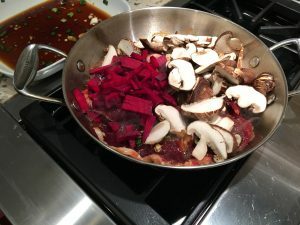 She added beets and mushrooms to the stir fry. Sweet and spicy beef! 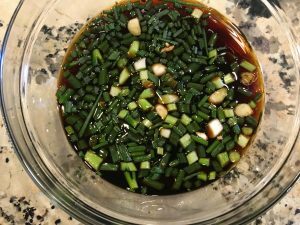 Mix all the marinade ingredients together in a plastic bag or rimmed dish. Add the meat and let it marinate for 2 hours or overnight. Heat a frying pan on medium-high heat. 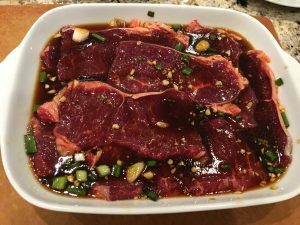 Remove the meat from the marinade and add the beef to the hot frying pan. Add a cup of the marinade and continue to cook the beef for 2 minutes each side. Add the beets and mushrooms. Continue to cook for another 10-15 minutes until vegetables are tender stirring often. Slice the beef with a scissors. Serve over cooked rice or salad greens. Spoon some of the sauce from the frying pan over top.